Mami Kataoka speaks at the Curator’s Perspective, an itinerant public discussion series that features international curators who distill current happenings in contemporary art, including the artists they are excited by, exhibitions that have made them think, and their views on recent developments in the art world. Kataoka has been the Chief Curator at the Mori Art Museum (MAM) in Tokyo since 2003 where she most recently curated “Lee Bul: From Me, Belongs to You Only,” while extending her curatorial practice in many international projects including 9th Gwangju Biennial (2012) in South Korea as the Joint Artistic Director and “Phantoms of Asia: Contemporary Awakens the Past” (2012) at the Asian Art Museum in San Francisco as guest curator, as well as “Ai Weiwei: According to What?” (2012) at the Hirshhorn Museum and Sculpture Garden in Washington, DC. She was the International Curator at the Hayward Gallery in London between 2007 and 2009 where she curated “Laughing in the Foreign Language” (2008) and co-curated “Walking in My Mind” (2009). 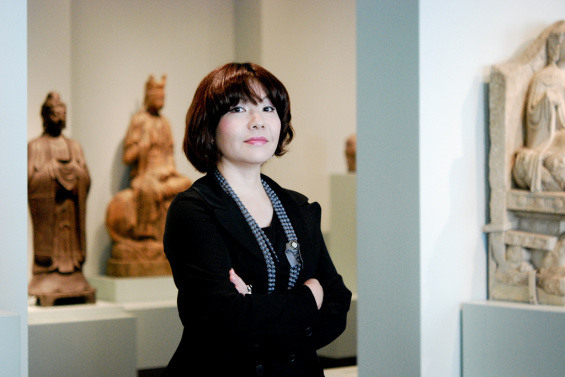 Kataoka frequently writes and gives lectures on contemporary art in Asia. Independent Curators International (ICI) produces exhibitions, events, publications, and training opportunities for diverse audiences around the world. In thirty-five years, ICI has organized 118 traveling exhibitions, profiling the work of more than 3,700 artists. The resulting networks include 621 museums, university art galleries, and art centers in forty-eight states and twenty-nine countries. A catalyst for independent thinking, ICI connects emerging and established curators, artists, and institutions, to forge international networks and generate new forms of collaboration. Working across disciplines and historical precedents, the organization is a hub that provides access to the people, ideas, and practices that are key to current developments in the field, inspiring fresh ways of seeing and contextualizing contemporary art.